Family members are currently not included in the EU Settlement Scheme pilot. A pilot of the scheme to allow EU nationals to remain in the UK after Brexit should be extended to family members, Scottish and Welsh health secretaries have said. The EU Settlement Scheme pilot, due to begin in November, is open to health and social care workers and university staff, offering them the chance to apply for settled status before the UK leaves the EU in March. However family members are not included, and will have to wait to a later date to have their status confirmed. Scotland's Health Secretary Jeane Freeman and her Welsh counterpart Vaughan Gething have urged UK Immigration Minister Caroline Nokes to reconsider, and have offered to host a pilot in Scotland and Wales in which relatives can take part. Failure to do so would mean the ministers could not "actively promote" the pilot, they said. 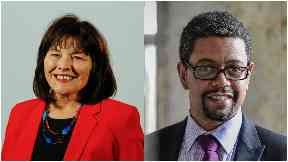 Letter: Jeane Freeman and Vaughan Gething have joined forces. In a letter to Ms Noakes, the health secretaries said: "We reiterate our view that the scheme as currently proposed is much more likely to deter, rather than to encourage, our EU staff from taking this opportunity to clarify their immigration status ahead of the UK leaving the EU on March 29, 2019. "We ask that you reconsider your decision not to include family members in the scheme. "If you are amenable, and if your concerns are mainly about making the pilot cohort too large to manage, then we would be content to pilot the inclusion of family members in Scotland and Wales. "If you are not able to agree to this, we would not feel comfortable actively promoting the scheme to health and social care staff in Wales and Scotland, although it is not our intention to oppose, or in any way to obstruct, the smooth operation of the scheme across the UK." 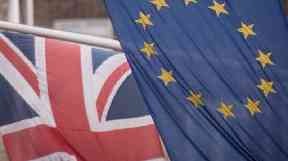 A Home Office spokesman said: "The EU Settlement Scheme will make it easy for EU citizens to get the status they need. In late August, we invited a small number of EU citizens to apply as part of the first testing phase to prove some of the functionality and processes. "In order to ensure that the numbers of those involved in the testing remain controlled, family members of those applying during the private beta are not able to apply - unless they are themselves eligible through their employment with, or support from, the participating organisations. "Family members of those granted status under the private beta can apply when the scheme is rolled out more widely."